Every Christmas season, Pigeon Forge TN comes alive with the holiday spirit. The town is draped in twinkling lights, the theaters are taken over by festive Christmas shows and Santa can be spotted at some of the area’s most popular attractions. There’s simply nothing better than a Pigeon Forge TN Christmas! The best way to kick off your Pigeon Forge TN Christmas is by enjoying the festive events taking place at Pigeon Forge Winterfest. From November through February, you’ll get the chance to experience amazing light displays, live holiday musical performances, incredible parades, the Fun Time Trolley light tour and so much more! During the Winterfest celebration, you’ll get the chance to ride on the Pigeon Forge Fun Time Trolley, an enclosed and heated trolley that takes you all around the city to see the beautiful holiday decorations and impressive light displays.This is the best way to see the sights without dealing with the cold temperatures! 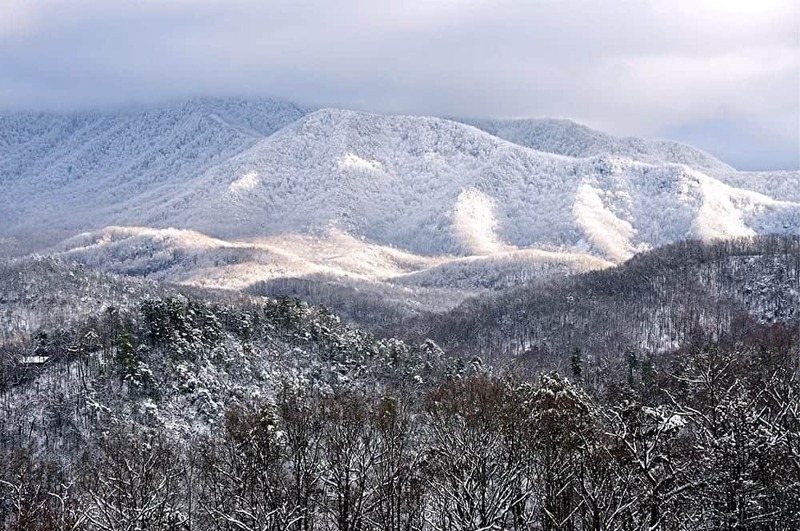 In order to have the best Pigeon Forge TN Christmas imaginable, you will need a beautifully decorated, comfy and cozy place to stay during your time in the mountains. With great amenities and lots of fun extras at a very affordable rate, our Pigeon Forge TN cabins are exactly what you’ve been looking for. And if you love the idea of spending your holidays in a cabin but you don’t want to miss out on the festive Christmas decorations that you’re used to, we have a selection of cabins that are decorated to celebrate the season! You and your family will have such a great time at our cabins during your Pigeon Forge TN Christmas celebration that you might just end up spending your whole trip enjoying all of the fun amenities included in your stay! Your kids are sure to love playing video games on the big screen TVs and learning to play table games like air hockey and foosball, and you and your spouse will get the chance to relax and read a book by the fire or enjoy a drink while soaking in the hot tub. And when you’re ready for some family bonding time, everyone will enjoy a meal together around your cabin’s dining room table. This is a holiday vacation that you’ll want to take year after year! Another exciting way to enjoy your Pigeon Forge TN Christmas is to check out a few of the wonderful Pigeon Forge TN Christmas shows that are happening around the town! Christmas at the Smoky Mountain Opry is a multi-million dollar Christmas production featuring sugar plum fairies, soaring angels, dancing elves, enchanted reindeer and much more! The Comedy Barn Christmas Show is a light-hearted and hilarious show that promises to put you in the Christmas spirit! Country Tonite Christmas Show is a beautiful combination of amazing choreography, flashy costumes and your family’s favorite Christmas classics that will have you all wanting to sing along! Finally, no Pigeon Forge TN Christmas is complete without getting your kids’ photos taken with Santa Claus at the The Island in Pigeon Forge! The Island has tons of fun games, rides, concerts and delicious food options, and during the holiday season Mr. and Mrs. Claus will be available to chat with your children and take keepsake photos that you’ll treasure for years to come! In order to enjoy all these fun events during your Pigeon Forge TN Christmas celebration, it’s important that you have a place to stay that is conveniently located, affordable within your budget and where your family feels comfortable. Our Pigeon Forge TN cabins are booking up fast because they’re the best deal around, so go ahead and book your family’s stay today!